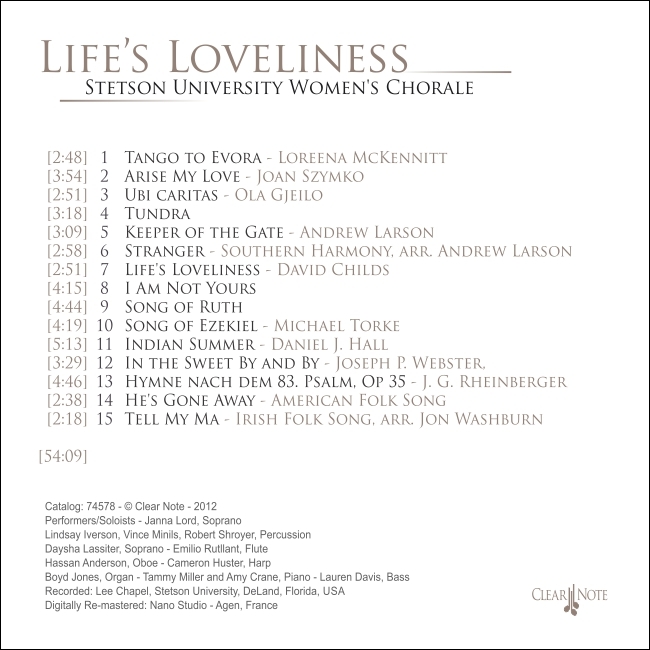 The Stetson University Women's Chorale recording made up of premiers and choral standards along a theme implied by the project's title. 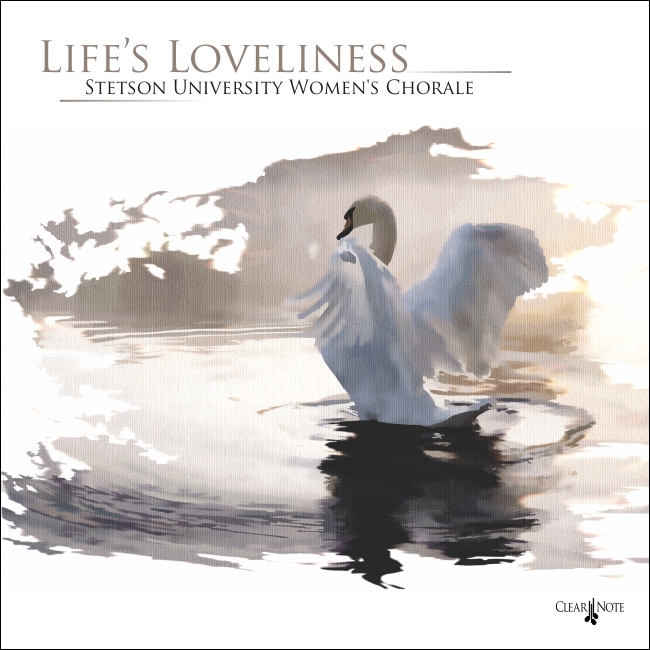 Conducted by Andrew Larson, joined by pianists Amy Crane and Tammy Miller, organist Boyd Jones, harpist Cameron Huster, and many students, the Stetson University Women's Chorale released "Life's Loveliness" in October 2012. "Spend all you have for loveliness. Buy it and never count the cost." Pulitzer prizewinning poetess Sara Teasdale offers advice that can be hard to follow when so many lives are filled with stress or unmet expectations. 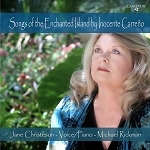 Her own life was fraught with disappointment and loneliness. She writes: "Life has loveliness to sell, all beautiful and splendid things."